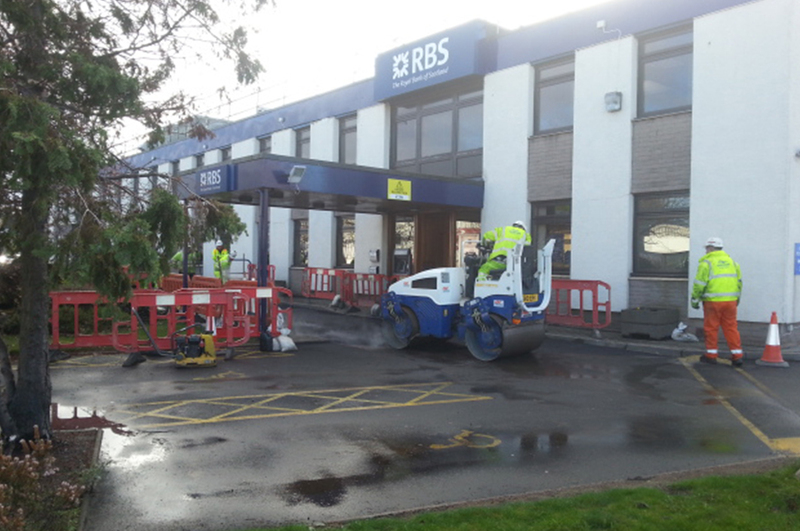 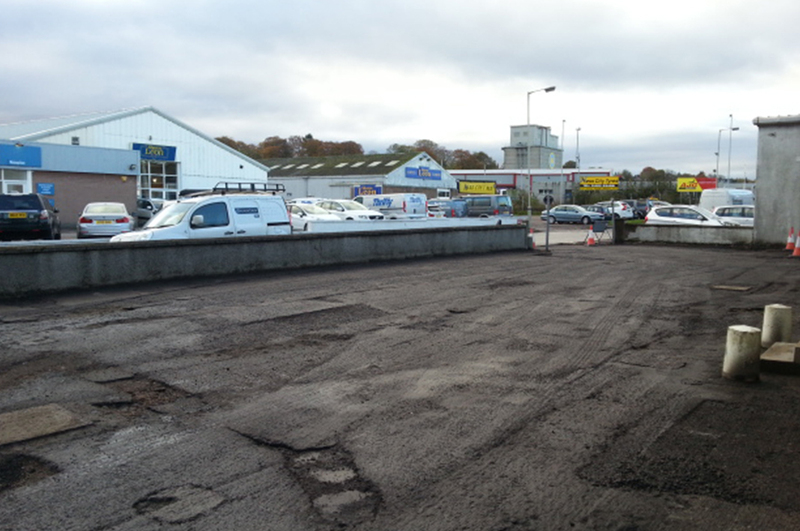 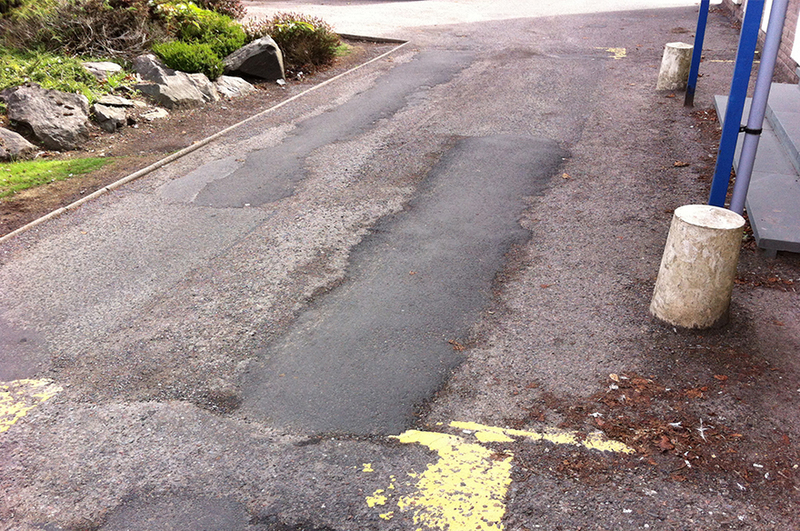 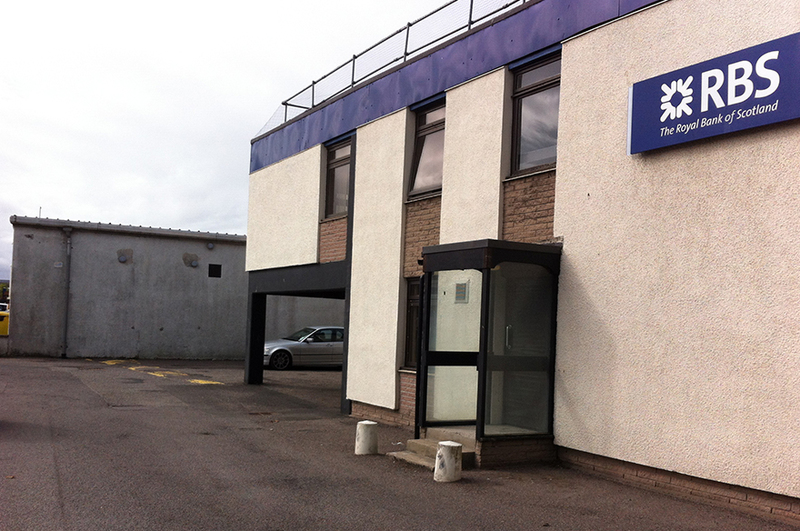 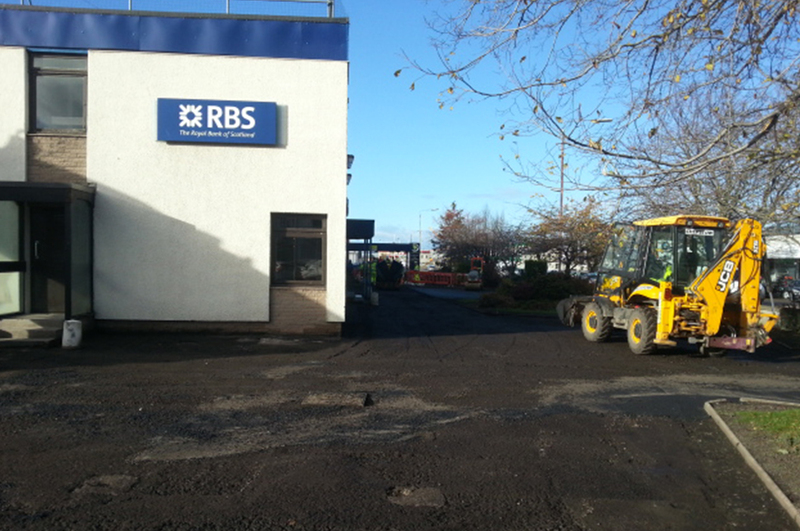 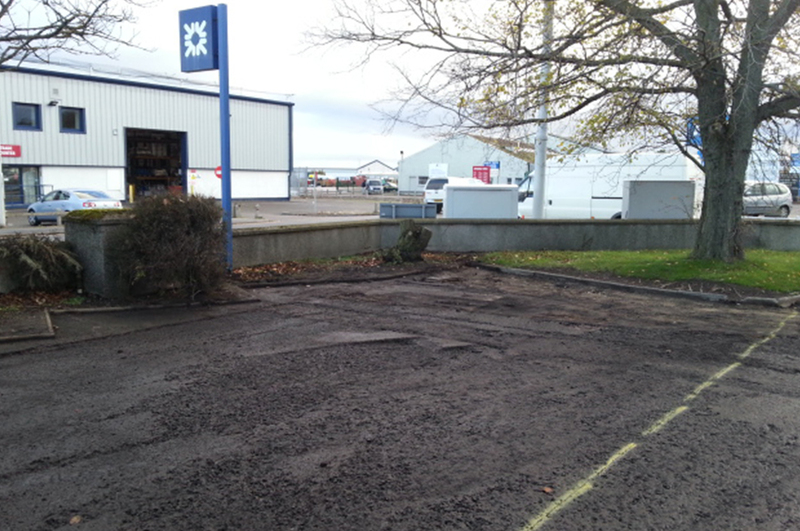 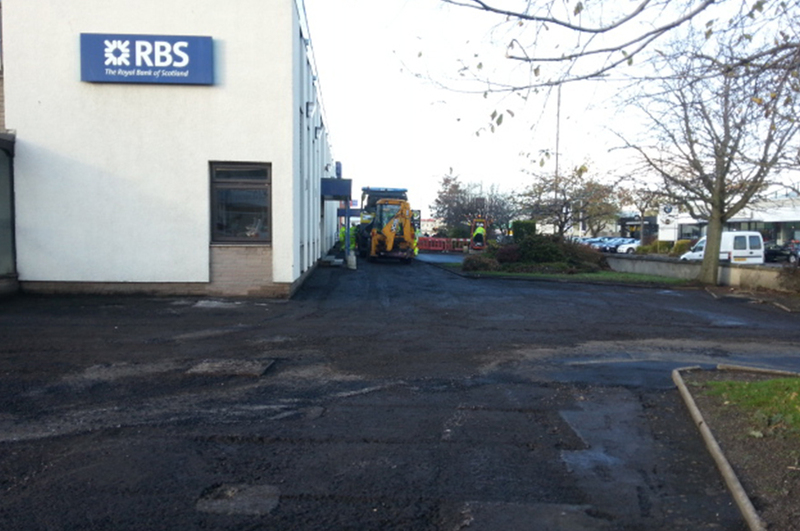 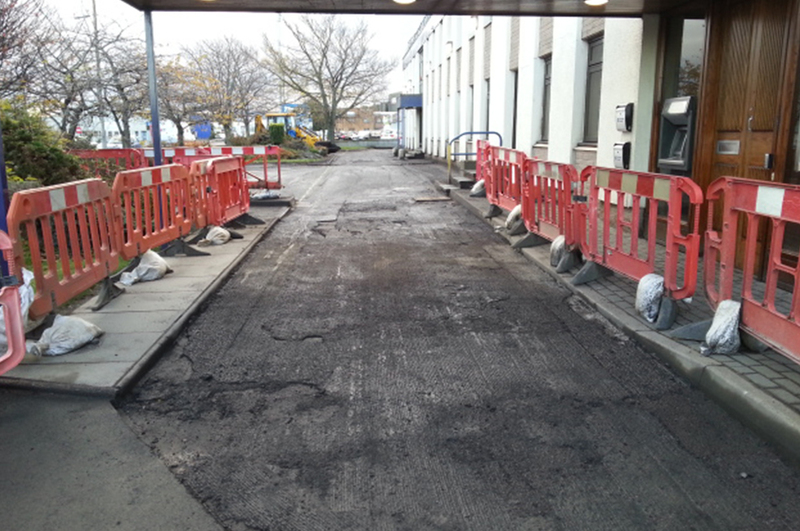 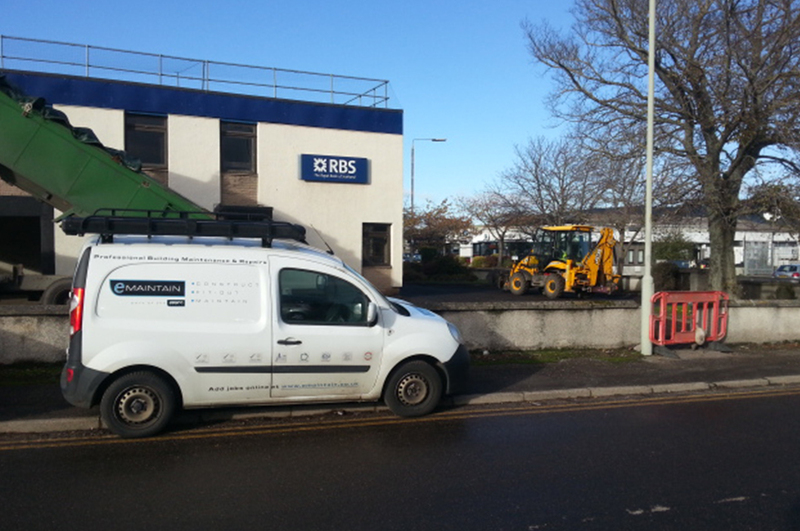 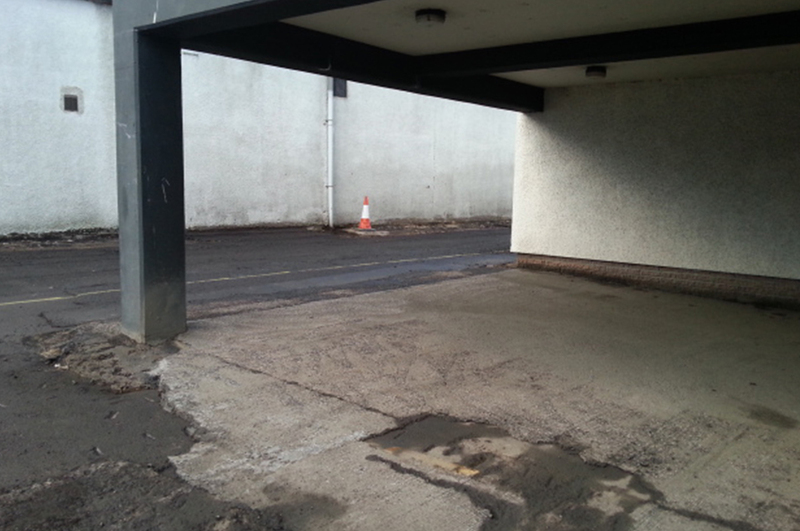 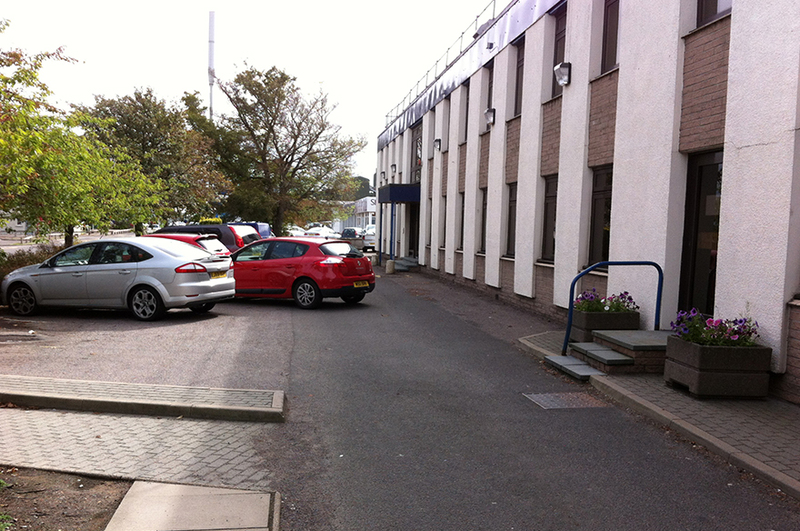 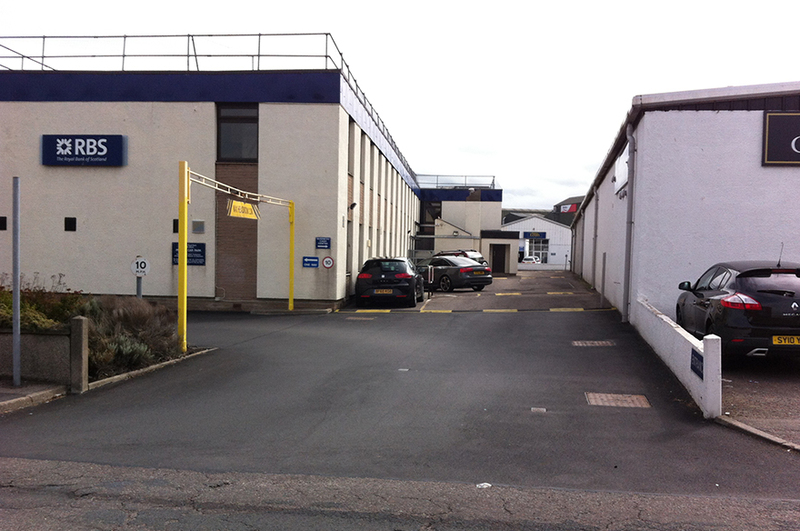 eMaintain were asked to look at an issue with potholes to the RBS on Harbour Rd in Inverness. 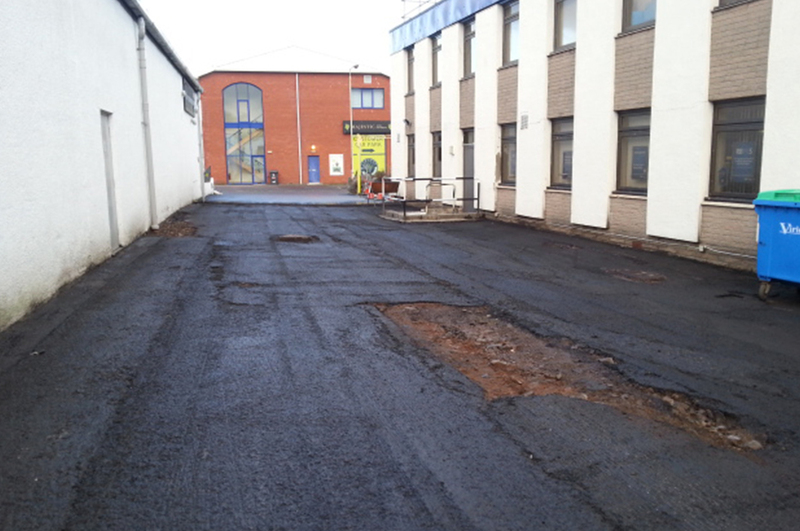 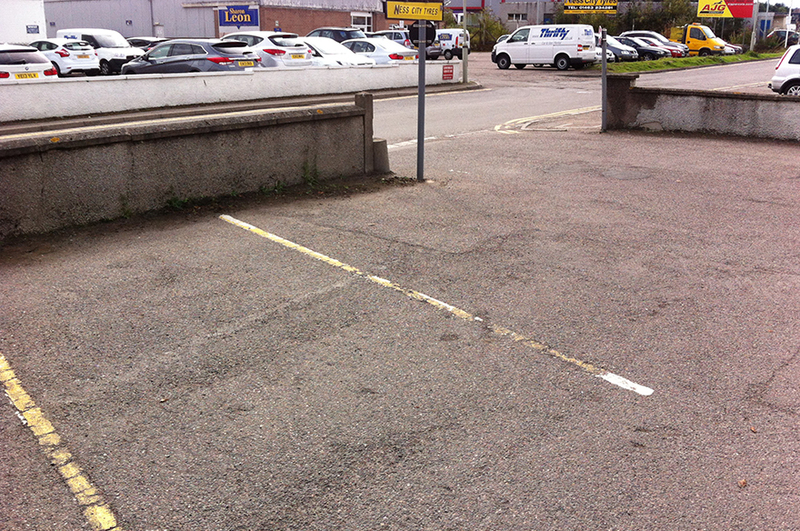 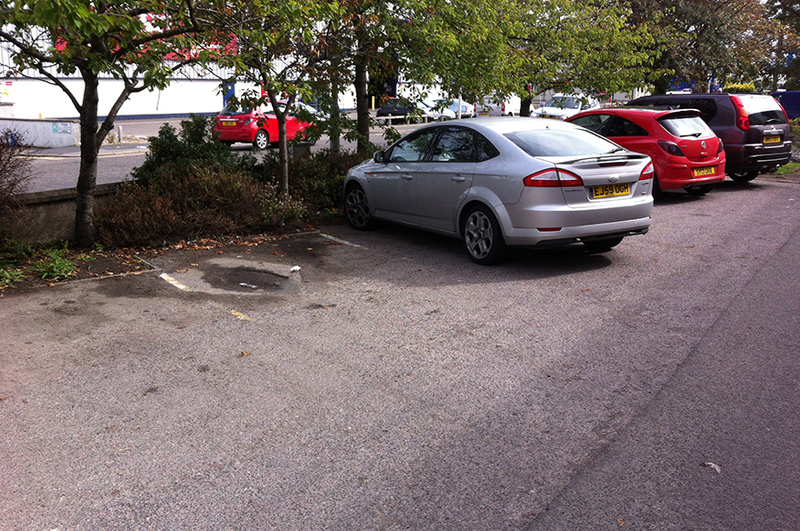 Once surveyed it was found more economical to resurface the entire 430sqm car park. 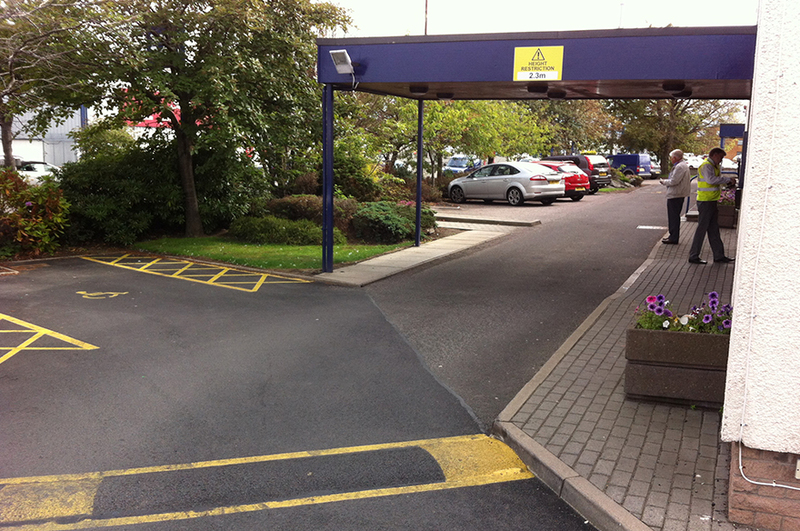 Working closely with the client a schedule was put in place allowing for these works to be completed without disruption to branch access and keeping as much parking available at any one time as possible.